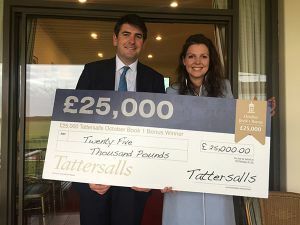 Last night saw two winners of a £25,000 Tattersalls October Book 1 Bonus in the space of half-an-hour at Chelmsford City Racecourse. The first on the card was the Hugo Palmer-trained OMEROS who won the toteexacta Maiden Stakes under the guidance of this year’s Champion Jockey Jim Crowley. 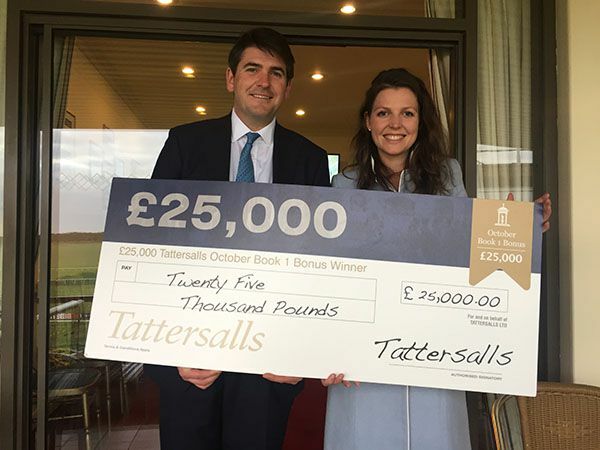 The son of POET’S VOICE was bought by Amanda Skiffington for just 50,000 guineas at Book 1 of the Tattersalls October Yearling Sale and earned a total of £36,466 on debut for his owner Chris Humber. Consigned at Book 1 by Houghton Bloodstock, OMEROS is out of the winning SILVER HAWK mare CARIBBEAN PEARL, a half-sister to Group 3 Criterion Stakes winner RACER FOREVER and from the family of Champion two year old filly TIGGY WIGGY who was sold at last year’s Tattersalls December Mares Sale to MV Magnier for 2.1 million guineas.